Meanwhile lets just say that we are proud Steffen contributed a whooping 164 entries. 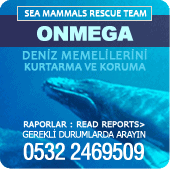 Article by Tips Editorial Office, July 19, 2013, Author: Gertrude Paltinger Tips Readers make dolphin therapy in Turkey possible for young Liam Offenhausen. Tips readers responded to Glückstern-Aktion with a donation of 9,820 Euro for 6-year old Liam Weingärtner. Now the severely disabled boy has finished his dolphin therapy – and with much success.